Brief Description of Subject: Rectangular window depicting the sixth day of Creation: land animals and humans. 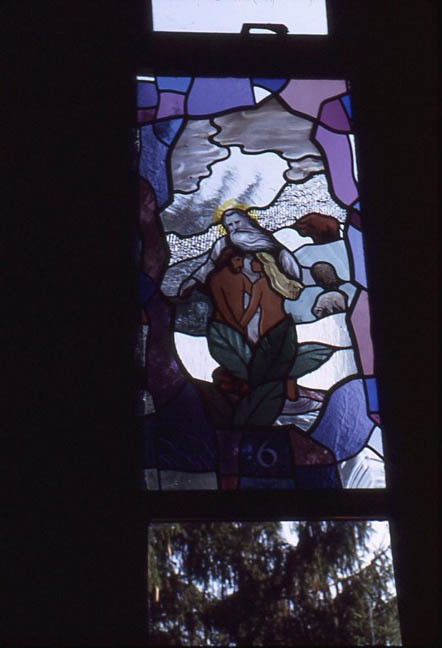 Window shows God, Adam, and Eve, with some mammals in the background. Made by Richard Hanley of Omnibus Designs, of Okemos, MI.